It might be too late to save endangered animals. 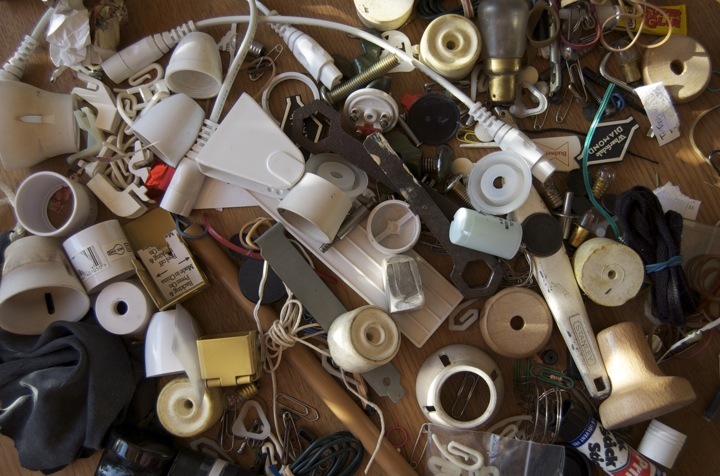 It’s no secret that Americans have a love affair with their stuff, but where is that stuff actually coming from? A new detailed map shows us exactly how our insatiable need to buy buy buy is actually bidding endangered animals bye bye bye. Daniel Moran, an industrial ecologist at the Norwegian University of Science and Technology, and Keiichiro Kanemoto from Shinshu University in Japan published an eye-opening map exploring this correlation in Nature Ecology and Evolution. This map compares supply chains for goods exported to the United States with the biodiversity of over 6,000 species across the globe. The darker the area, the more serious the threat is to wildlife. Darker areas indicate areas of threat hotspots driven by US consumption, based on the mix of threats from each country and the mix of export goods sent to the United States for final consumption. Our “biodiversity footprint,” as the authors call it, is one of the largest in the world, way above second placers Japan and the European Union. Collectively, these three world powers are wiping out wildlife at an alarming rate. According to the Center for Biological Diversity, Earth’s natural extinction rate is about one to five species a day. But in the age of the “sixth extinction,” scientists estimate we’re now losing anywhere from 1,000 to 10,000 times that, meaning dozens of species are going extinct every single day. The most affected areas are Latin America, Africa, Southeast Asia, and the coastal waters of Japan, where marine life gets hit the most; causes range from overfishing, palm oil plantations, deforestation, and pesticides in agriculture. The paper also points out that current laws protect the countries that are most responsible for the environmental damage. The U.S., for example, spends an annual $6 billion meant for conservation on economically rich countries, not those that have the highest rate of threatened species. So, the cost of maintaining the habitat usually falls on either the industry (the people making the product) or the final consumer (the people buying the product off the shelves). If the country had more responsibility for the damage, they might look for manufacturers that are certified organic or ones that use sustainable practices. As of right now, there aren’t any plans in sight for better sourcing of our products. But, by using the biodiversity hotspot method as a means to reroute our goods, we might be able to do our part in protecting the environment — while we still can, at least.